Combining her love of fashion and cars, Yasmin amps up the glamour of this vintage 1952 Jaguar XKC 005 for the summer 2015 issue of Goodwood Magazine. 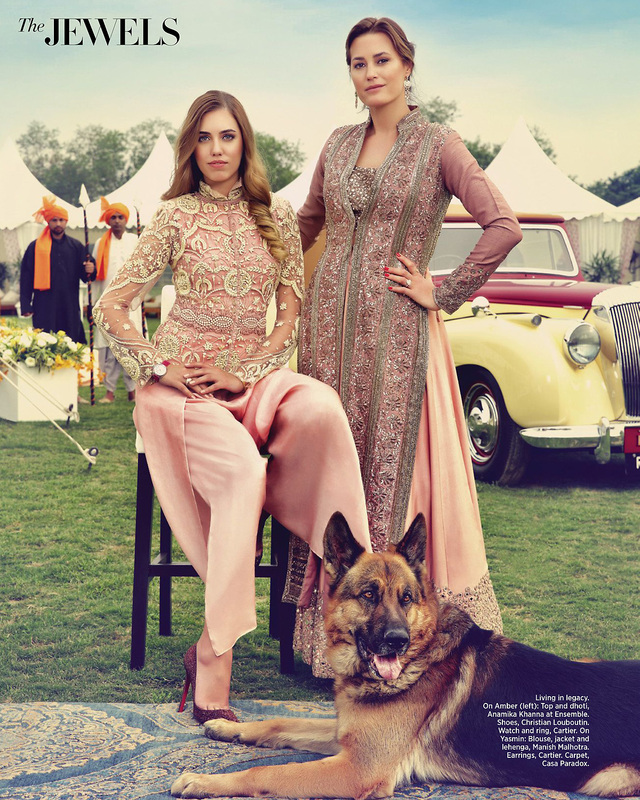 Yasmin and Amber were photographed for the April issue of Harper’s Bazaar Bride India at the Jaipur Polo Grounds in New Delhi, where Yasmin and Simon served as judges at the Cartier “Travel With Style” Concours d’Elégance classic auto and motorcycle exhibition this past March. 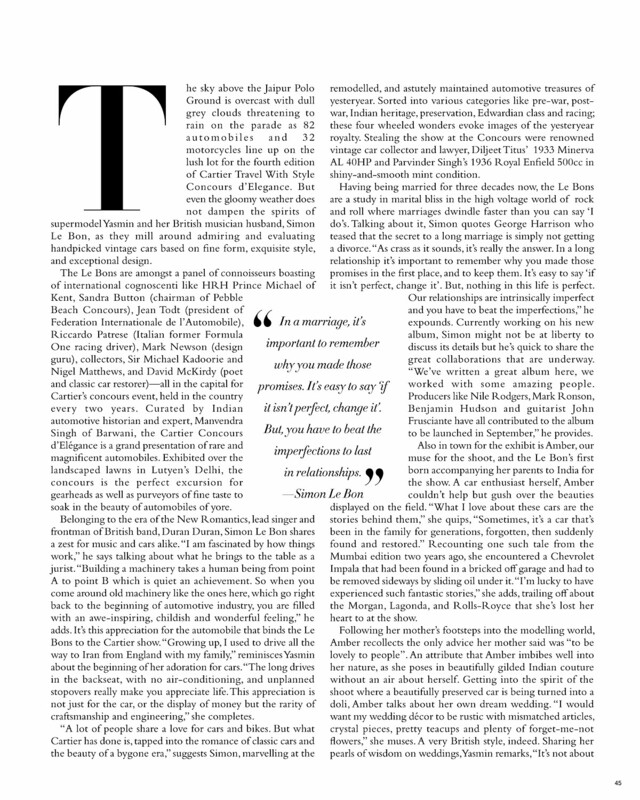 All three Le Bons were also interviewed for the magazine, in which they muse on classic cars, marriage, and jewellery.